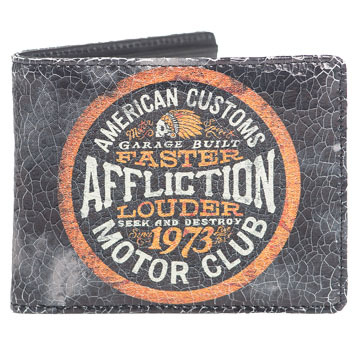 Affliction American Customs Motor Club crackle textured black leather double fold wallet features a motorcycle and biker inspired design with the Affliction American Customs Motor Club logo with a small Indian skull headdress emblem and reads Affliction American Customs Garage Built Faster Louder Motor Club Seek and Destroy since 1973 in orange and white across the front. Two bill compartments, two hidden pockets, ID window, four credit card slots. 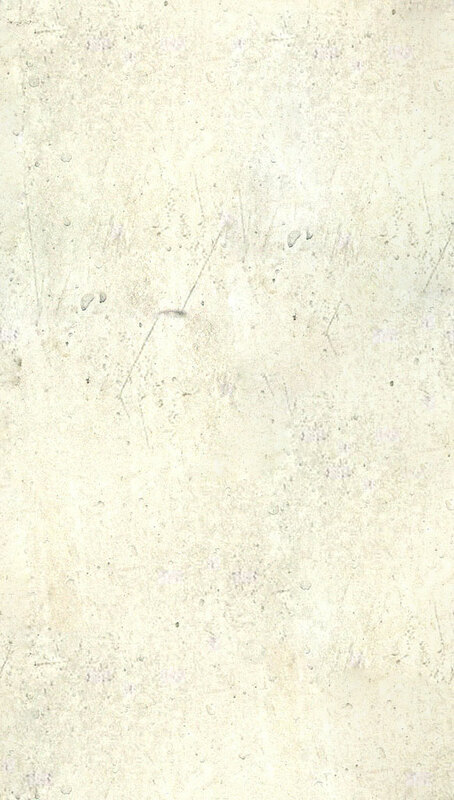 Crackle Treatment For Distressed Vintage Look. All Black Stitching On Wallet. All Over Sublimation Print for High Print Detail. 100% Genuine Cow Leather. Color: black crackle.